Olives are a simple and delicious way to get a party started. Combine olive oil, bay leaves and garlic in a small saucepan and heat gently, until just warm. Remove from heat and stir in lemon rind, thyme, rosemary and fennel seeds. 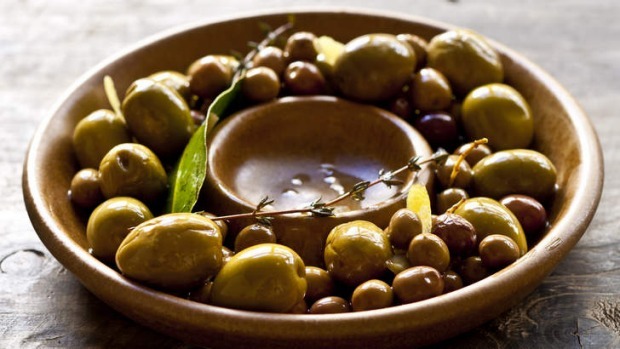 Place olives in a wide-mouthed jar and pour in olive oil mixture. Shake jar to coat olives. Refrigerate for 2 hours or for up to 2 weeks. Shake the jar a few times to redistribute the seasoning.